Disability Studies is pleased to announce that the Mr. & Mrs. Samuel Oschin Family Foundation is providing a scholarship to promising students in the Disability Studies Minor who are dedicated to service and advocating on issues of importance to the disability community. The Mr. & Mrs. Samuel Oschin Family Foundation was founded in 1981 by the late Samuel Oschin, an entrepreneur, explorer and philanthropist who was dedicated to giving back to the Los Angeles community. Under the direction of Mrs. Samuel Oschin, the Foundation continues her husband’s work by giving generously to the community and supporting a variety of causes in the areas of astronomy, medicine, education, and the arts. Lynda Oschin says her husband wanted nothing more than to make a difference and encourage others to share in the work of improving our world and bringing hope for the future through stimulating collaboration. With this generous gift to UCLA’s Disability Studies program, students are able to continue Samuel Oschin’s legacy and dedicate themselves to improving the quality of life for those in the Los Angeles community and beyond. Have at least one course for the program completed or in progress at the time of application. Please review the eligibility criteria BEFORE starting your application. An essay not to exceed 750 words (3 double-spaced pages) that describes your experience working in the disability community to date and discusses how the Disability Studies minor has influenced (or how you envision it will influence) the direction of your academic career and future plans. If applicable, please include a discussion of your internship and/or capstone research plans. Email both files to the Oschin Family Foundation Scholarship Committee*. Your application materials will be automatically uploaded to a drive once they are received. You will receive a confirmation email for each file when your application materials have been successfully uploaded. Important: If you do not receive a confirmation email or if you are having issues uploading your application, please send application materials to Chelsea Hackett at chackett@college.ucla.edu. Thanks to the generous support of the Mr. & Mrs. Samuel Oschin Family Foundation, UCLA Disability Studies is pleased to announce the winners of the 2018 Samuel Oschin Scholarship. Lily Shaw will be awarded $3,500, and Isita Tripathi and Egle Urbonaite will both be awarded $500. The selection committee received a strong pool of qualified applicants who all had strong academic records and a history of service with the disability community. Lily, Isita, and Egle rose to the top by exemplifying the spirit of the Samuel Oschin Scholarship in the clear connections they made between disability studies scholarship, their current service, and particularly their future goals to be change makers. Lily Shaw is a third year Political Science Major with a double minor in Disability Studies and Labor and Workplace Studies. Lily has a strong record of disability advocacy. Starting at age 16, Lily served as the youngest adviser to the Mayor of Nashville on the Disability Advisory Board. 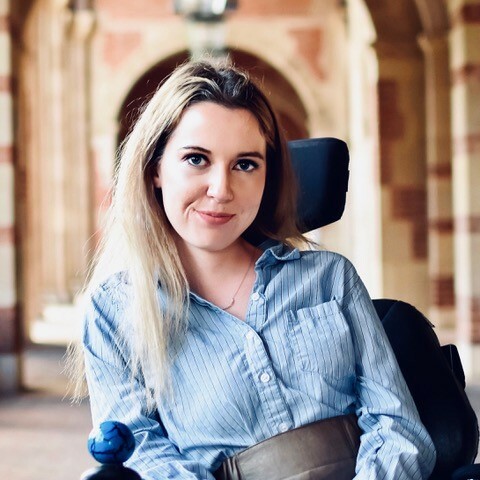 She transferred this experience and passion to UCLA when she became the director of Access on Board, an initiative put forth by the Facilities Commission to serve students with disabilities and make UCLA more accessible for all. Lily hopes to study and eventually practice Disability Rights Law. Her dream is to one day work with the World Health Organization under the United Nations to create universal standards of living for people with disabilities. Isita Tripathi is a second year pursuing a degree in Neuroscience with minors in Disability Studies and Global Health. She currently volunteers at PEERS Clinic, where she helps socially-motivated youth with autism learn how to form meaningful relationships with others. 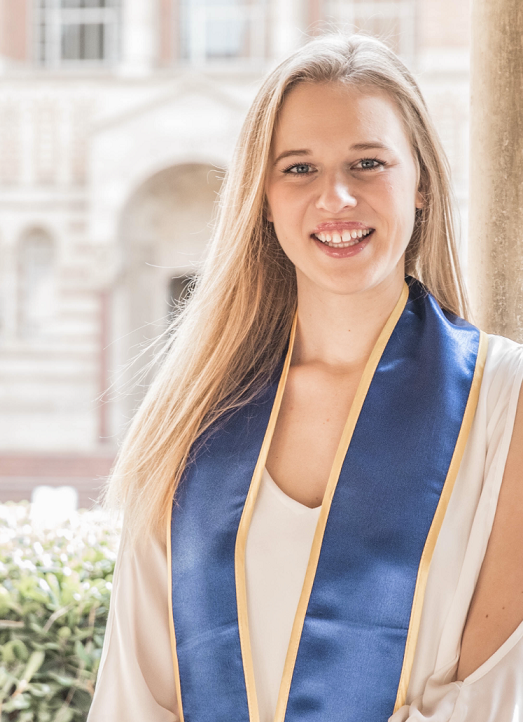 Within PEERS, she also works as a career coach in the College-to-Careers program, which aims to find job opportunities and establish accommodating workplaces for UCLA college students with autism. 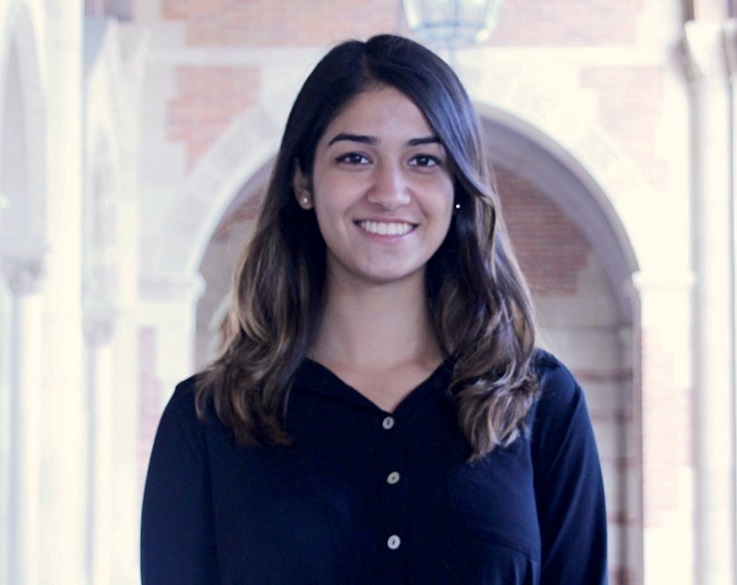 As a culmination of her interest in medicine, public health, and disability studies, she is currently developing a student organization that provides access to free surgical care for patients in underprivileged communities. With mentorship from Disabilities Studies faculty, she hopes to advocate for people with disabilities who are rejected from the care they desire due to structural issues in healthcare. In the future, she aspires to build on her experiences in the minor to integrate disability studies perspectives into the medical field. Egle graduated in the fall 2018 with a major in Psychology and minor in Disability Studies. She conducted her internship at the Disability Rights Legal Center, a non-profit law firm that defends the rights of people with disabilities through education, advocacy, and litigation. She also completed her capstone project while enrolled in Rosemarie Garland-Thomson’s class, “The Future of Humanity: The Bioethics of Health and Disability” where she analyzed several legal documents that either enforce or threaten the rights of people with disabilities. Egle is applying to law school for the following school year, where she hopes to continue advocating for people with disabilities in health law or public interest law.